Adults In The Room is a must-read for those who aspire to building a left that can achieve governmental power and transform society. That is not because Yanis Varoufakis has the answers about how to achieve that, but because his experience as Finance Minister brutally demonstrates how capitalism will operate to try to block such change. 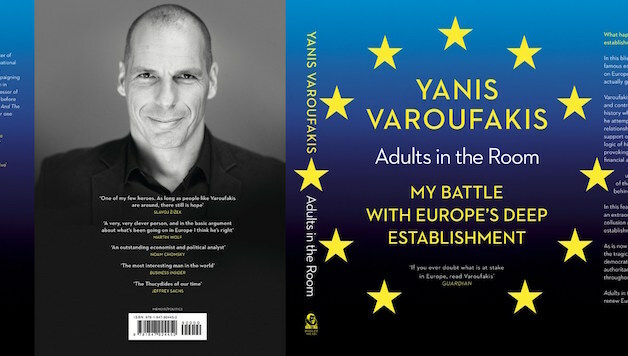 His book is an inside account of the rollercoaster from the Syriza government’s election in January 2015, with Varoufakis assuming the role of Finance Minister, to the heroic 61% No vote in the austerity referendum on 5 July 2015, to the betrayal of that vote by Prime Minister Alexis Tsipras, symbolised by the forced resignation of Varoufakis early the following morning. These decisions of the unelected ECB had the purpose and effect of undermining the Greek banking system, deliberately creating a bank run in order to attempt to undermine the Syriza government and to try to ensure a Yes vote in the austerity referendum. Ironically and tragically, it wasn’t just European capitalism which was hoping for a Yes vote. Varoufakis suggests Tsipras was also looking for a Yes vote to allow him to retreat and was shocked by the resounding No. The deep cynicism of the Syriza leadership is clearly exposed, confirming that the Greek working class were indeed lions led by donkeys. The Thessaloniki Programme adopted in September 2014 committed Syriza to implement a ‘humanitarian programme’ through rejecting significant elements of austerity and seeking renegotiation of debt. Varoufakis criticised it from the right, as so radical that it was “at odds with any reasonable negotiating strategy that kept Greece within the eurozone….” The fact that such a relatively minimal programme designed to ease the horrific suffering of the Greek masses was not compatible with remaining in the eurozone should have given him all the information he needed. 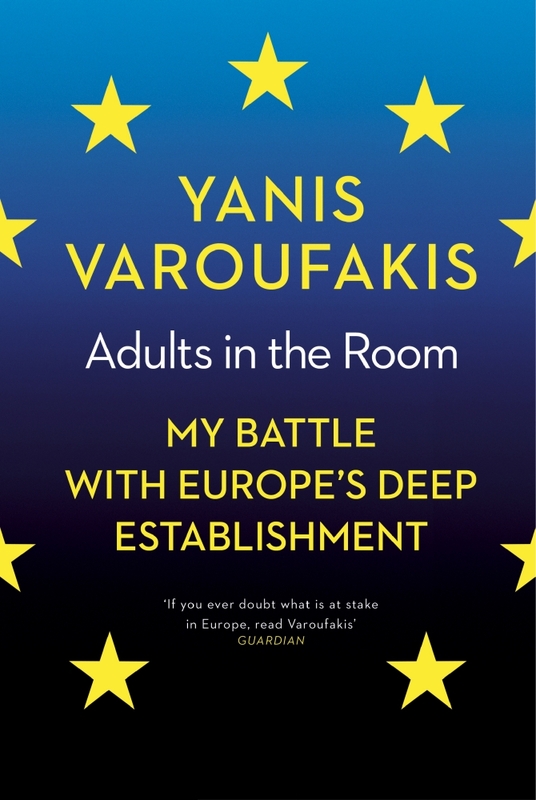 While Varoufakis is well able to expose the breathtaking dishonesty of the Tsipras leadership, there are very significant political weaknesses in his own account. Although he styles himself as an outsider, this is an insider’s account. The book is centred in the late night dramatic meetings in Brussels, Athens and Washington. However, the motor force of the struggle – the Greek working class – is largely sidelined to the role of victim of austerity and cheerleader for Varoufakis. The many general strikes and mass protests that took place in the period he documents are largely ignored. Varoufakis is clear on the failures of the Tsipras strategy – which was to rely on convincing Angela Merkel and sabotaging the development of any alternative if that failed. The consequence was that the government’s opposition to austerity simply crumpled when faced with the choice of ending austerity or remaining in the eurozone. However, he makes no convincing case for why his alternative strategy would have worked. Throughout the book, he is critical of those such as the Left Platform within Syriza, which advocated for Grexit. There were undoubtedly many weaknesses with their approach, rooted in their failure to link this to the need for anti-capitalist and socialist policies, but they had the virtue of telling one essential truth – that breaking from austerity and keeping the euro were incompatible. 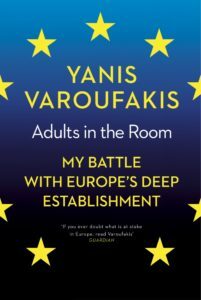 However, despite everything, Varoufakis’ conclusion is that “had we stuck with the strategy we had originally agreed, Brussels would have met us halfway”. This is the idea that if the Greek government had been willing to initiate a parallel payments system in Greece and default on the IMF and the European Central Bank, eventually they would have received a deal and could have remained in the eurozone. However, the entire story illustrates that the Troika was not negotiating in good faith. Their concern about political contagion outweighted their concern about economic contagion and they were willing to destroy the Greek banking system and force Greece out of the euro, rather than concede anything to a left-wing government. The alternative to Tsipras’ capitulation was not to negotiate harder, better or smarter. It was to tell the truth to the Greek and European masses about the class interests motivating Merkel, Draghi and Dijsselbloem and to prepare without illusions for a socialist strategy of mobilisation and confrontation based on debt repudiation, capital controls, and democratic public ownership and control of the dominant parts of the Greek economy. Linked to this would necessarily be the development of a democratically controlled national central bank and currency, together with linking up with working class and young people across the continent in fighting for a socialist Europe for the millions, instead of the millionaires. Next articleTrabajadores de los Almacenes de Amazon: ¿Despertará el gigante?